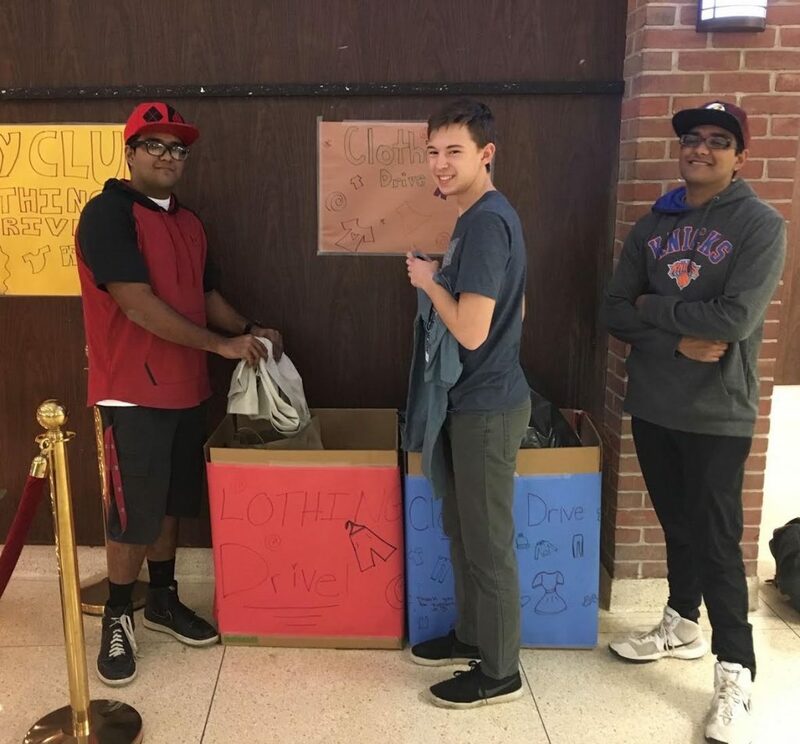 The Southampton High School Key Club recently held a clothing drive to help those in need. The students collected hundreds of used items and donated them to the Hampton Bays Public Library for the library’s clothing drive. Pictured, from left, are Key Club President Bhuvanishar Ramkhelawan, Vice President Ian Robinson and Treasurer Bhupati Ramkhelawan.